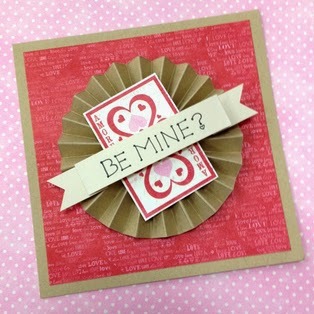 Capture the heart of your Valentine with this beautiful pinwheel card! Skip the store-bought Valentine's Day cards this year and opt instead for a handmade gift that will tug at the heartstrings with a bit more force! This Pinwheel Valentine Card makes use of artful scrapbooking paper and a perky pinwheel texture to set it apart from the bland, boring greeting cards you'll find at your local retail store. Personalize the top scroll with a custom message such as "Be Mine? ", "Love You! ", or something more detailed that expresses exactly how you feel! Browse the other Valentine's Day project ideas at Beverly's, then feel free to connect with us on Facebook to share your creations!